Booksellers Without Borders: Blog Hop: Glass Boys by Nicole Lundrigan and Giveaway! 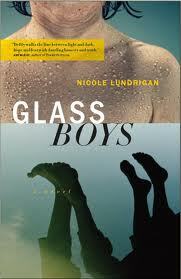 Blog Hop: Glass Boys by Nicole Lundrigan and Giveaway! Today we are happy to host a blog hop celebrating the new release of the book Glass Boys by Nicole Lundrigan. The book explores the connections between light and dark, past and present, love and hatred, family and foe. The lives of two families intertwine after a moment of horrific tragedy and the novel questions whether the past can ever be escaped or if it will haunt the living forever. Desperate to smother the painful past with love, Lewis marries Wilda, and the pleasure he takes in their two children - Melvin and Toby - recalls the happier days of his childhood with Roy. But as he watches his small family fracture, the darkness of the past begins to cloud the present, leading Lewis back to Eli Fagan - and his watchful stepson, Garrett Glass. In the style of Newfoundland literature, established by Michael Crummey and Lisa Moore, Glass Boys is the haunting story of an unforgivable crime that brings two families to the brink. I'm not usually a big fan of contemporary fiction, but I was excited for the opportunity we had to join in this blog hop and I picked up the book with interest. To be honest I found the first couple of chapters rather confusing. Lundrigan drops the reader right in the middle of the action, but it was a bit disorienting and I really didn't understand the beginning until later in the book. I also was never quite sure when or where the book was taking place. There were certain cues that made me think it was in the 60's or 70's, but I don't recall the time period or location ever being mentioned, which added to some of my initial confusion. However, having said that I can now move to what I loved about this book. Because I did enjoy it. The twisting story of the two families kept me interested and I particularly liked the flavor of the prose. The dialect markers in the characters' speech was charming and not distracting as can happen so often and the relationships between the characters felt real and heartbreaking. My favorite character has to be Toby. His blossoming friendship with Angie is so sweet and his utter devotion to his older brother is pure and realistic. The scene where he pulls Melvin home through the snow tugged so strongly at my heart. Somehow Lundrigan manages to write about such dark things with a touch that is light enough to keep the story from utter despair and to keep the characters living and dynamic. If you are looking for a darker story of hidden secrets and family loyalty you should definitely give Glass Boys a try. And you can check out Nicole's website HERE. And we are giving our copy of the ARC away to one lucky reader! 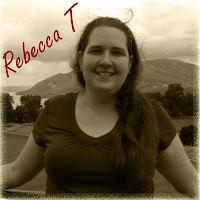 Just fill out the Rafflecopter form below to enter and thanks for stopping by! Labels: Blog hop, book review, Nicole Lundrigan, Rebecca T.